Thiamin (Vitamin B1) is an essential B vitamin. Thiamin contributes to normal energy-yielding metabolism and to the normal functioning of the nervous system. 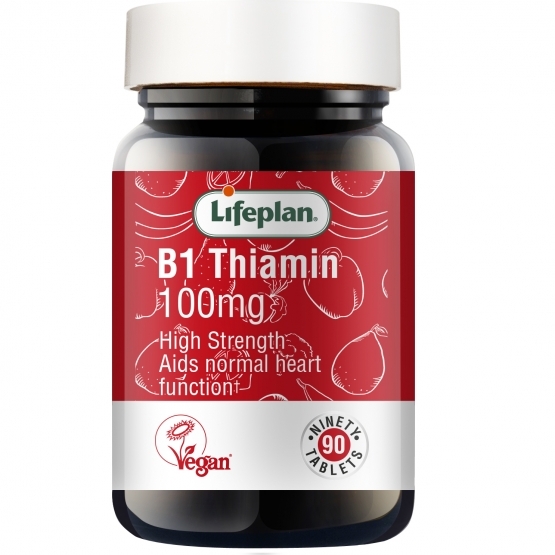 Thiamin contributes to normal psychological function and to the normal function of the heart. Registered with the Vegan Society. added sugar, starch, salt, yeasts, colourings, preservatives or animal derivatives. Thiamin (Vit B1) 100mg x 90 has been added to your basket.